(Southern Pines)……Efforts by NCCIA and other interested parties to provide relief to micro-captives from the overly burdensome compliance rules embodied in IRS Notice 2016-66 continue in Washington on two fronts. Association members, captive managers and others involved in the captive industry continue to write the IRS asking that the Notice be rescinded or withdrawn well prior to the May1 compliance date. NCCIA’s government affairs committee, chaired by Alex Webb, continues in weekly contact with members of congress urging members in both the house and senate to move forward a rescission bill under the Congressional Review Act. A number of other federal agency actions have been pushed back, with the house taking the initiative at the request of the Trump administration. Whichever effort is ultimately successful will be greeted enthusiastically by the captive community as the financial costs associated with the IRS compliance findings are substantial, especially for smaller section 831(b) captives. The North Carolina General Assembly is in full swing and starting to churn out legislation. 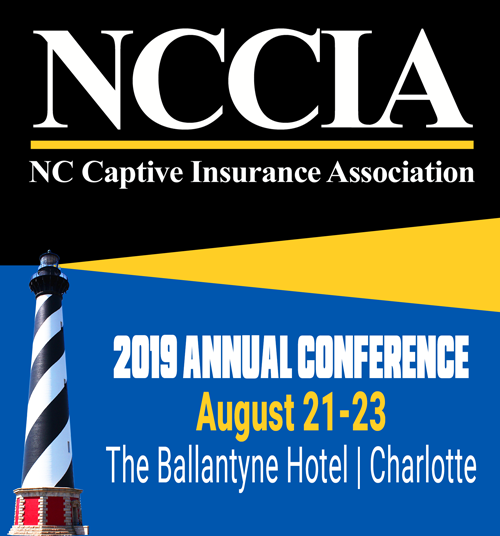 To date there have been no amendments posed to the NC Captive Insurance Act, according to Lane Brown NCCIA VP for government affairs. “Next month both the house & senate insurance committees will receive briefings on the status of the growing captive insurance industry in the state,” Brown said. The briefings arranged by Rep. Linda Johnson (R- Cabarrus) will be presented by the NC Department of Insurance and NCCIA. Sponsorships for the 2017 NCCIA Annual Conference are “sold out”according to NCCIA President & CEO Thomas Adams. “While sponsorships are sold out there are a limited number of exhibit spaces still available.” Exhibit space can be arranged on the associations web site at www.nccia.org or by calling the headquarters office. Adams said “that sponsorships sold out so early this year and the large number of repeat exhibitors is a real tribute to the growth of the captive industry in North Carolina and the excellent efforts of Commissioner Mike Causey and his captive insurance team at NCDOI.” All exhibits are expected to be sold by conference time. Mike Meehan and Jesse Coyle, co-chairs of the 2017 Annual Conferencecommittee report progress on the development of this years conference agenda. “We will have an increase in the amount of programing at this years conference with the addition of 4 breakout sessions and programing specific to captive owners,” according to Coyle. Early registration for the conference will open in April on the association’s website.